Whether you want an existing track plan revamped to be built with a different track system, different available space, or even in a different scale, we can customize almost any plan to fit our unique requirements. Or we can design an original plan from scratch. 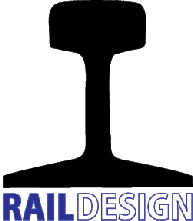 As senior designer for What Detail, Inc and for my own use, I have designed and built many model railroads in almost every scale. Over the years, I’ve published numerous layout plans in major publications. Kalmbach Publications discourages posting copyrighted material on the Internet, so a bibliography of my published plans in Model Railroader (MR) and Classic Toy Trains (CTT) appears below. Look for more in the future.